(VEN) - The mountainous province of Lao Cai has a diverse range of mineral resources, employing a large number of workers. The province therefore has paid great attention to ensuring serious implementation of regulations on occupational health and safety (OHS). 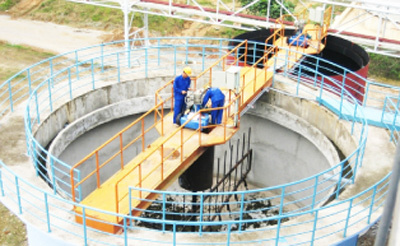 According to the Lao Cai Department of Labor, Invalids and Social Affairs, nearly 1,600 businesses are currently operational in the province, employing more than 42,000 workers, including nearly 5,000 workers doing dangerous, exhausting jobs and facing the risk of becoming work accident victims and suffering occupational diseases in fields such as mining and mineral processing, and stone exploitation. Thanks to the provincial government’s guidance for localities and businesses to implement OHS tasks, the accident frequency rate has decreased 10 percent annually since 2006. Notably, the frequency rate of fatal accidents has decreased 11.6 percent per year. So far, more than 15,000 employers and managers in Lao Cai Province have participated in OHS management activities, while workers have been provided with regular OHS training, with more than 115,000 workers undergoing periodical health examinations. Local departments and sectors have taken the initiative in coordinating with localities to open about 30 OHS training classes for over 1,000 communal-level officials and rural workers. 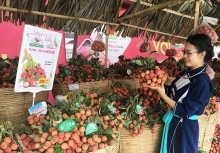 The city of Lao Cai and all districts have effectively disseminated safety standards required for the use of pesticides, fertilizers, and electricity in the agricultural and forestry sectors, contributing to protecting the environment, improving health for rural residents, and preventing risks and accidents in agricultural and forest production. Local authorities have conducted more than 200 inspections and examinations on the implementation of OHS and fire and explosion prevention regulations at about 3,000 businesses and production facilities, focusing on those operating in dangerous fields. Through these inspections and examinations, they have found and dealt on a timely basis with violation cases, contributing to improving the working environment. 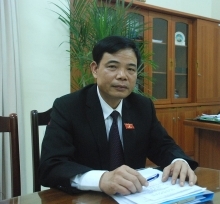 Lao Cai Copper Refining Company Deputy Director Vu Ngoc Quy said the company currently employed 590 workers with most of them doing dangerous, exhausting jobs in a toxic environment. Therefore, the company has paid great attention to implementing OHS regulations, while at the same time modernizing equipment and technology to create a safe working environment. The company has maintained regular examinations to deal on a timely basis with violations of OHS regulations, thus improving OHS consciousness of workers. Thanks to these efforts, the company successfully prevented work accidents in recent years. To achieve better results in implementing OHS regulations in the time to come, Lao Cai Province has requested sectors, localities, organizations, and businesses to intensify the dissemination of these regulations among employers and employees. The socioeconomic development strategy of each locality as well as the production and business development plan of each company must consist of measures to improve the working condition, protect the environment, ensure OHS, and take care of worker health. Inpiduals and organizations successfully implementing OHS regulations will be commended and rewarded, while violation cases will be dealt with strictly.